I remember this because I didn’t have a reply for her. I was speechless! 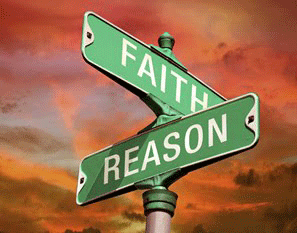 To this day, I have found that faith vs. common sense queries aren’t so black and white. There are some things in life that just don’t have acceptable answers. I believed what she said to have truth, because I trust in the divine, too. But I also did what I could to protect my children, because I loved them. Does this mean I doubted divine protection? In her mind, yes, but not in mine. I think we are called to love, in everything we do. And when we purely love, it is the divine working through us. So I did what I felt was love in action, for my sons, and had them wear bicycle helmets. We all know that many decisions in life generally fall in that gray area between all right or all wrong, so learning to have a balanced outlook takes practice. When we exercise balance in our decisions, we demonstrate faith in our own inner power of God to discern what needs to be done at the moment. And when we make decisions based on pure love, we are working in pure balance.